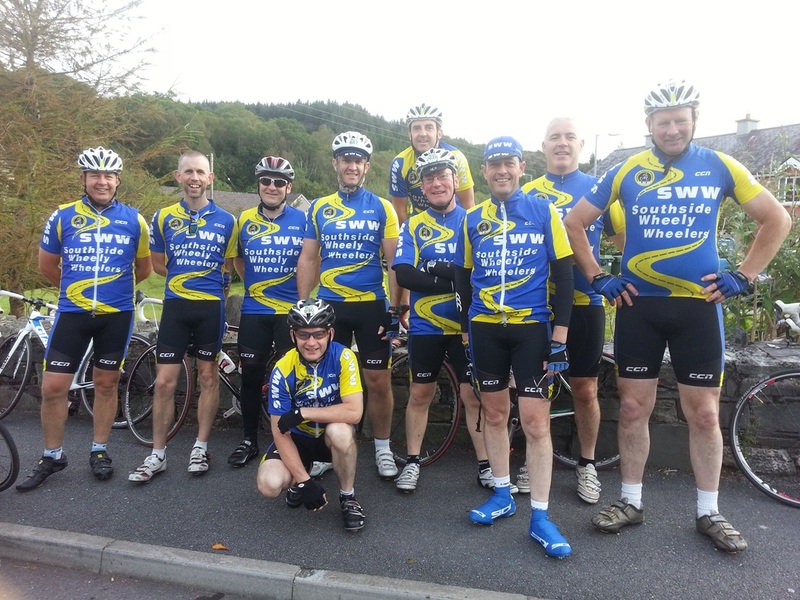 There was a large turnout of Southside Wheely Wheelers Cycling Club cyclists at the final An Post sportif The Rebel Tour which took place on Saturday Sept 15th from Glengarriff. The Rebel Tour has really come of age with this fantastic setting taking in various routes through some very difficult mountain passes around the Beara peninsula. The 160k Rebel Challenge started off with the long Caha Pass climb starting just outside the town of Glengarriff which really blew away any cobwebs. It followed a figure of eight route taking in the infamous Healy Pass twice. However the really difficult climbs were between Ahillies and Eyeries at the tip of the peninsula – a series of short but very steep climbs which really tested the legs but the Wheelers were up to the task. The terrain was rough at times, the bikes took a pounding with two spokes being broken but thank fully just one puncture which occurred half way up Healys Pass second time round. There was no shortage of volunteers from Southside Wheelers Cycling Club willing to stop and assist. There is no doubt that the Rebel Tour is now challenging the An Post Sean Kelly Tour of Waterford in terms of difficulty and has the advantage of some breath taking scenery. The atmosphere around Glengarriff was fantastic on arriving back from the various cycles with live bands playing on the street and a large crowd awaiting all the tired participants. Well done to Dave Walsh, Pat O Donnell, Jerry Herbert, Willie McCarthy, Brendan Daly, Mike Sexton, Ger Finn, Paul Finn, Jonathan Moloney, Martin Lake, Mike Gammell, Matthew Gammell, Sean Burchill, Gerry Ryan, Anthony O’Riordan and Mary McCarthy. Last Wednesday evening at 6.30pm saw two groups of Southside Wheely Wheelers cyclist’s cycle out from the car park next to Kilmallock Cycles Bike Shop on their weekly evening training cycle. Out enjoying the spin in beautiful sunshine were Sean Burchill, Gerry Ryan, Ber Gammell, Michelle Gammell, Simon Kelly, Jerry Reidy, Jonathan Moloney, Jerry Herbert, Mike Sexton, Donal Kelly, Mike Gammell, Paul Gammell, Willie McCarthy, Ger Finn, Mathew Gammell, and Garry Tierney. 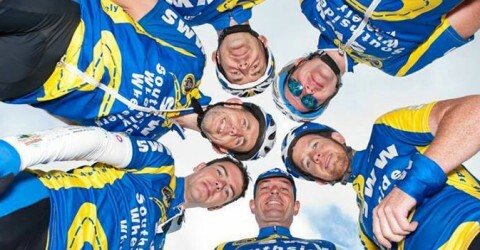 AGM for Southside Wheely Wheelers takes place at 8pm Tuesday 2nd October in the Deebert Hotel. Can all members please attend the AGM and give full support to the club. Now that the evenings are starting to get darker all cyclists should be sure to wear bright or hi-vis clothing and use front and back lights on Wednesday evenings. Time to light up your bikes. New members are always welcome to join our club, all you need is a bike and a helmet and you’re off. We have club spins Wednesday evening at 6.30, an easy paced cycle (perfect for beginners or those returning to cycling) at 9.30 Saturday morning and our Sunday spin at 8.30am. All leave the car park beside Kilmallock Cycles. There’s a group for everyone and every fitness level so don’t think you’ll be left behind. There’s plenty of chat, advice if you need it and you’ll get fit into the bargain. Keep an eye on our website http://www.southsidewheelywheelers.com and our club face book page.